A redesigned, updated and expanded version of Thalia Mara’s Fourth Steps In Ballet: On Your Toes! Appropriate and informative for students and viewers of ballet. Perfect for all… students, teachers and the curious fans of Ballet. 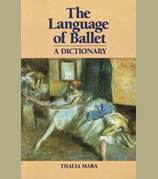 In this series of books, Thalia Mara takes her 75 years experience in dance as international performer, instructor, director, promoter, and translates the fundamentals of Ballet from stage to the page. Thalia Mara is considered one of America’s greatest ballet educators with an international reputation influencing generations of dancers. Prior to her renown as a teacher, her own ballet training was entirely from the Russian School; studying in Chicago, Paris, and New York as a student of such distinguished instructors as Adolph Bolm, Olga Preobrajenska, Nicholas Legat and Michel Fokine. By the age of fourteen she was a full member of the Chicago Opera Ballet. In Europe she rose to prominence as a soloist with the Ballet Suédois and the L’Opéra Privé de Paris and later with the Fokine Ballet in New York. She founded her first school for Ballet in New York in 1948. She became a dedicated advocate for raising standards of ballet instruction in America. She developed a training and certifying organization for teachers, in the 1950’s she wrote a column for Dance Magazine and wrote the first of her 11 published books.  Her “Steps” books, originally four separate books, have recently been re-published in a new format by combining them into two separate volumes. 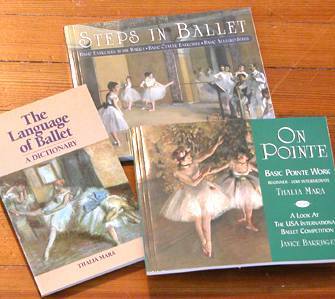 These books, originally written progressively from 1955 – 1959, are still today considered the “bible” of the business by ballet teachers around the globe.